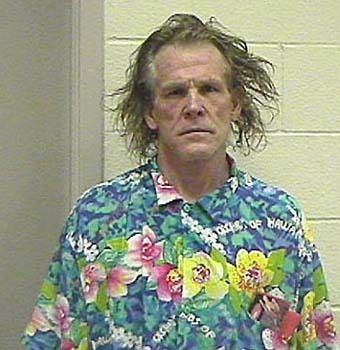 This much-publicised photograph was taken in 2002 when Nick Nolte was arrested in California and given a DUI conviction. Great shirt! Shame about the hair. But I guess he wasn’t counting on a photo session that day. It’s seven years down the line and the movie bad-boy turns 68 today. And I have to report that he’s not looking much better. But he’s still keeping busy making movies – the latest one being the hit comedy Tropic Thunder. I guess at this point in his life he just wants to keep doing what he’s always been doing – acting and acting up! If you want to see more funny celebrity mug shots – and there are plenty – then click here.